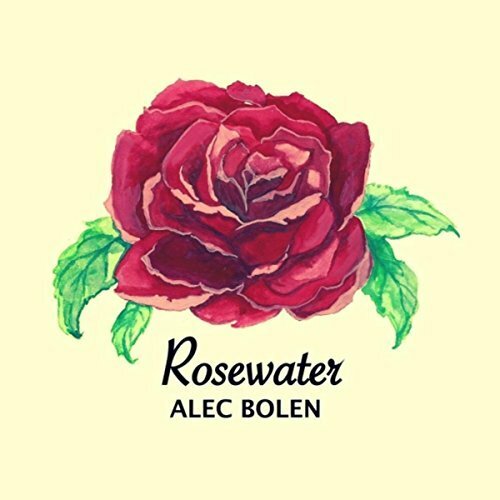 Oregon emcee Alec Bolen's "Rosewater" EP was a full year in the making. The concept behind the project follows the story of a young man who meets and falls in love with a girl. The record then proceeds to go through the different phases of their relationship. Alec displays the sides of relationships that the ego exaggerates such as love, lust and infatuation. Bolen's creative process for the album was a bit unorthodox but a formula the budding lyricist fares quite well doing. The EP title, tracklisting and all beats were selected prior to the writing of it. The instrumentals selected are all in the ultra chilled lane. "Rosewater" is an album that caters to both Hip Hop enthusiasts and couples. Brud Giles recorded and mixed the project at Fremont Recording and Dana White from Specialized Mastering mastered everything. "This album has been an elevating experience for me in every aspect for me as an artist. From song-writing to branding, this record is my first official release tha'ts mine and that, from me, is a statement saying “I’m here”. I’m not just trying to make music, I’m really trying to take this to the next level." Seven tracks in total and containing the lead single "Autumn to Winter", Alec Bolen strays from the over-saturated turn up type of music. His laid back voice lays well over the beats choices. After a few spins thru, "Rosewater" has more than one main meaning behind it. After further examination, the meaning takes on a triple entendre that listeners need to decipher themselves. Quench your love thirst with a healthy dose of "Rosewater" on Spotify then stick around to view the official video behind "Autumn to Winter" following.